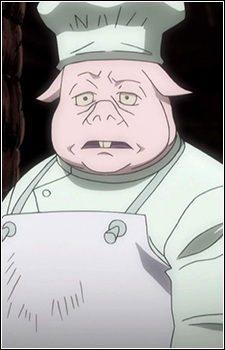 Pig (豚, Buta) is a Chimera Ant soldier and a chef. Pig is a name only given by Madhouse for the 2011 anime. His name is not in the manga.